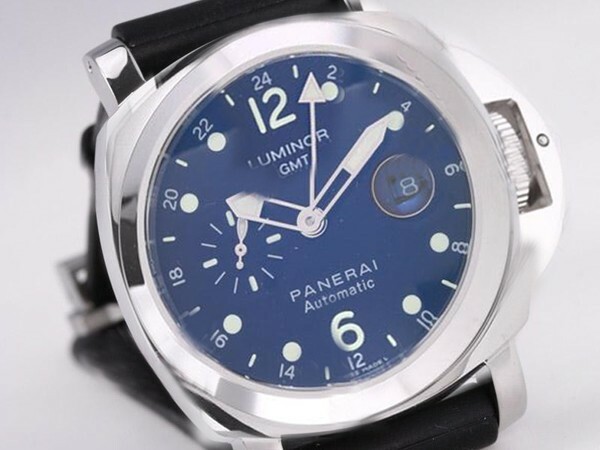 Panerai is felicitating its constant relationship with the sport of classic yacht racing by launching three automatic flyback chronographs equipped with a series of functions directly connected to the nautical world. The so-called PCYC (Panerai Classic Yachts Challenge) chronos provide three slightly different takes on the form though, so let’s take a quick view at what makes each new model special. For the first model, while it measures 47mm as well, is made of titanium, and is powered by the same chronograph movement, it is a totally different proposition to the other one which Jack tested in situ during the Corinthian Classic. Don’t mistake it in the photos here for a rattrapante – it has central chronograph seconds and minute hands. There’s also a chronograph hour counter at three o’clock and a small seconds register at nine o’clock. Unlike that model, it comes in a classically styled Luminor 1950 case with a polished bezel, and the 15-minute countdown is placed on the dial’s rehaut, between nine and 12 o’clock. I guess that you may wonder, as I did when I first saw this replica watch, how you quickly get the chronograph minute hand in position at the start the countdown. The answer: by pushing the button located at four o’clock, set into the crown guard. Each press moves the hand back by one minute. It’s quite a clever execution really, and the placement of the countdown in the fourth quarter of the dial allows for the addition a nautical tachymeter scale too. 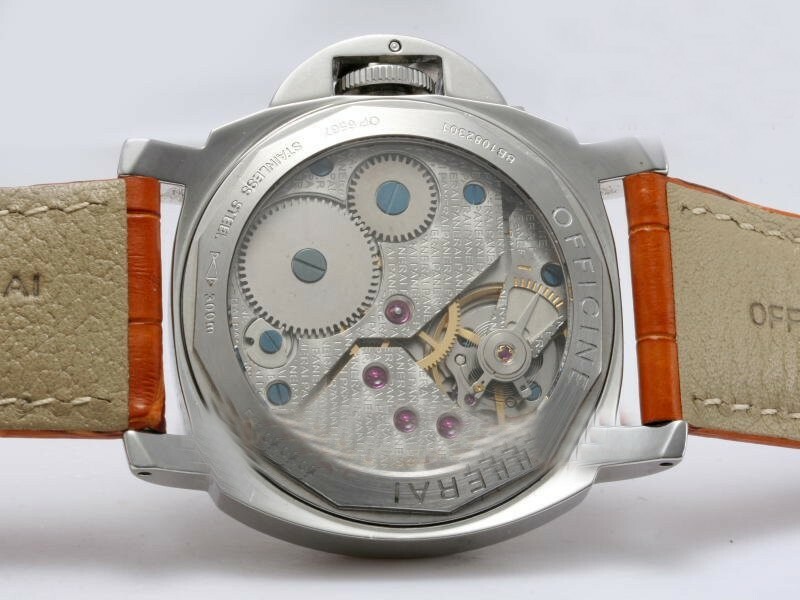 This model looks very much the part of your typical replica Panerai. It has a deep black dial and a full complement of those slightly bubbly Arabic numerals for the hours, rendered in a golden hue that is meant to look well-aged. The replica watch, on the other hand, has a bright, ivory-colored dial with luminous dots to mark the hours and batons at 12 and six o’clock (double and single, respectively). The result is a pair of cheap watches that, while technically identical, appeared completely different anyway.